In the AFC, it appears the race for the final playoff spot will come down to three teams fighting for one spot. For the Titans and Cincinnati Bengals, it’s win out or go home. 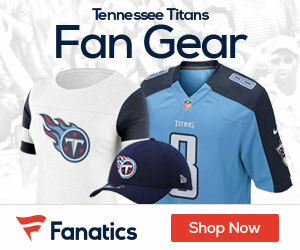 The New York Jets hold a one game lead over both the Bengals and Titans, but own no tiebreaker over the Titans. If the Titans were to win out in their final three games and the Jets lost one, the Titans would hold tie conference tiebreaker. Indianapolis, Jacksonville, and Houston week 17. Looking at this schedule on paper, there is absolutely no reason why the Titans would not win two of three, and possibly all three if the Texans are resting up a bruised group with the AFC South clinched. The Titans have played tight against nearly every opponent this season and have proven they can beat the weaker opponent. If Tennessee is able to put two straight wins together against teams with a combined two wins, they will put serious pressure on the Jets. Looking at this, I could see the Jets getting likely only one win, and possibly none. I don’t see the Jets beating either the Eagles or Giants at this point in the season, as both quarterbacks, Michael Vick, and Eli Manning, are beginning to click with their receiving corps. Miami has won 4 of 6 after starting the season 0-7 and will be playing in the final game of a tumultuous year. If Tennessee is able to take care of business against the Colts and Jaguars, they may be facing their division rival in week 17 for a playoff spot and pride. The Titans showed their true colors again. It’s choke time in Nashville, just like it always was in Houston. You may take the Oilers out of Houston, you might give them a new name, but you will never, EVER take the Oilers out of the Titans!